Can I export my Session results? 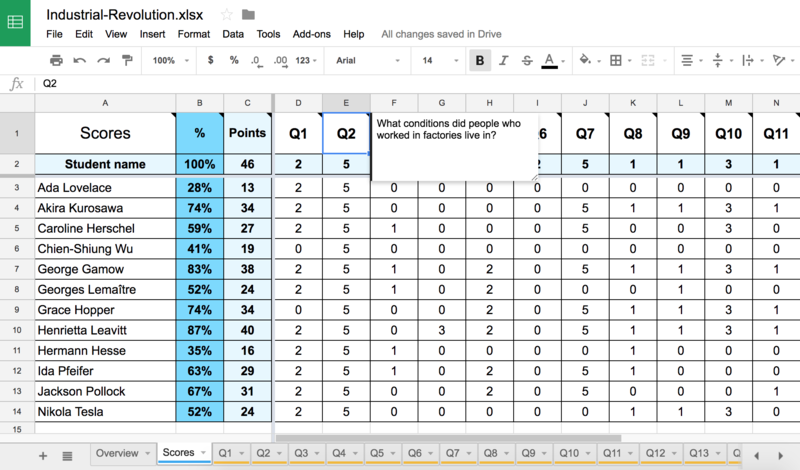 Excel Export [PREMIUM ONLY]: export each student answer and their achieved points per question with our Excel export. PDF Insights Report for a summary of the class performance. To export your results, go to your Sessions, choose the Session you would like to export and click on Export. Question Details: see every student answer for each question, including their achieved points. We've pre-saved some Excel formulas for you, so if you would like to edit some student points, feel free to edit the respective cell. Your total scores and overview will automatically be updated! 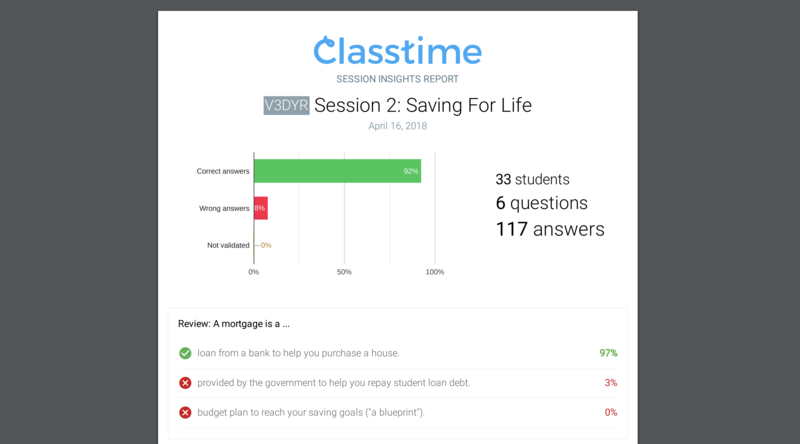 If you need an export of other data at this point of time, feel free to write a short email to team@classtime.com. We'd love to help you out with a manual export, if needed.